Jagannath University Admission Seat Plan and Get Admission Test Result 2016-2017 Session. Jagannath University Honours 1st Year Admission Test Seat Plan, Admit Card Download. 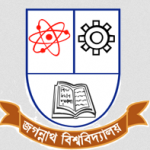 Likewise other public universities in Bangladesh, Jagannath University is all set to witness another admission-war as there will be at least 65 students fighting for one single seat in First Year Honours session. A circular has been published in this regard, which disclosed the ratio for the 1st year admission honours admission test of this reputed University. Earlier, the University opened the application submission for this session. Jagannath University First Year Admission application form submission deadline was ended at 12pm on 10 September. After counting all the applications from different divisions, the University authority came up with the fact that there will be a ratio of 1:65 which means only one in every sixty five candidates will be selected to admit in JNU Honours first year program. There are 825 seats in the A unit of Jagannath University. However, already 64,284 applications have been submitted with a view to getting a chance to admit in A unit of this university. In B unit, total number of seat is 670. But total number of application to get admission in JNU Honours 1st year for B unit is 36,213. On the other hand, total application for admission in C Unit is 27,816 for 560 vacant seats and 48,212 applications for 590 seats of D unit. JNU E Unit has only 120 seats but total number of application was counted as 2025.